Essential’s Toronto launch party was your standard tech industry launch gathering – with one key exception: Lining one wall was a series of three booths, demonstrating the Essential Phone’s camera tech, design process and hardware engineering respectively, and each was staffed by people who actually did the work. That’s exceptional because you almost never get the chance to talk directly with the engineers actually doing frontline work on consumer devices, even as media with access. Typically, the people you get to talk to have a deep familiarity with the products they’re showing off, but they’re trained specifically to interact with the public and press, and are seldom deeply involved with the engineering or design process. That’s partly because Essential has under 100 employees in total, which is tiny for a company building and shipping premium smartphones (Apple has over 100,000 global full-time employees, by comparison). But it’s also because part of what Essential wants to do is change the way people feel about smartphones, and shake up some of the sense of atrophy that has descended on this highly commoditized market. The recurring question around Essential from seemingly everyone paying attention, myself included, is what makes the company and its products so different? Founder Andy Rubin is a legend in the mobile world, since he helped create Android and built some of the first must-have mobile devices at Danger. But bona fides aside, it’s hard to point to any one thing that Essential offers that isn’t already addressed by existing premium devices. That differentiator might not be any single hardware feature or easily identifiable device difference. Don’t get me wrong: there’s little question in my mind that the industrial design of the Essential Phone itself is top notch, and it’s easily my favorite smartphone hardware among the currently available smartphone crop. 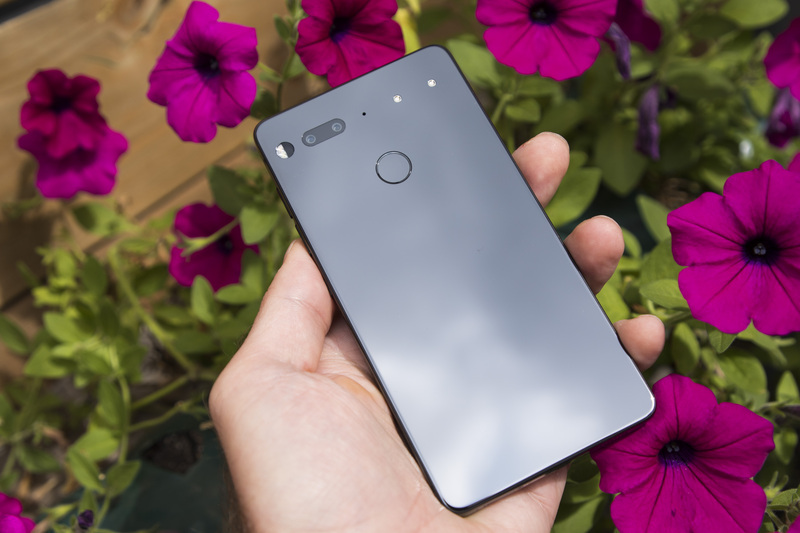 But what makes Essential different – and what could be the secret to its long-term success – is more about philosophy and positioning than killer features. Essential President Niccolo de Masi talked me through how the company sees itself relative to its looming peers, including giants like Apple and Samsung. De Masi, who is also Executive Chairman of Kim Kardashian game maker Glu Mobile, knows a thing or two about leveraging influence, and that’s a key ingredient in Essential’s go-to-market strategy. De Masi qualifies that as applying to North America, Western Europe and English-speaking markets, since Samsung and other brands have established themselves as “lovemarks” elsewhere. This leaves room in the North American market especially for a “pro-consumer brand” to gain an emotional foothold with consumers, he says. Keeping on the cutting edge is a big part of Essential’s positioning, too. The company is touting its relatively low shipping expectations as virtue, not a weakness; lower production volumes means it can take more risks, and take advantage of materials and processes that don’t scale to the kind of mass production that Apple needs to hit just to satisfy daily demand. The difference between producing 2 million smartphones per year versus 200 million means being able to say “yes” to a lot more in the way of unique materials and risky moves. I noted to de Masi that, unlike Apple, Essential doesn’t have any other strong lines of business to fall back on should the risk not pay off, however, as the startup’s low-margin approach needs time to mature. Essential is lean, however, and de Masi says that it has support from partners who aren’t thrilled about the duopoly built up by Apple and Samsung in the smartphone market. He also told me that the company eventually believes its Home business, which will focus on simplifying and unifying the dizzying array of smart home products available, will eventually supplement and even match its smartphone effort in terms of importance to Essential’s bottom line. Ultimately, though, what struck me as Essential’s greatest strength wasn’t necessarily its ability to build a smartphone with a titanium frame and a ceramic back, both of which were made possible precisely because of its advantages as a ‘small-batch’ device producer. Instead, it was the passionate explanation of how it accomplished what it did with the Essential Phone’s camera, design and hardware engineering, which I heard straight from the mouths of those who made it happen. 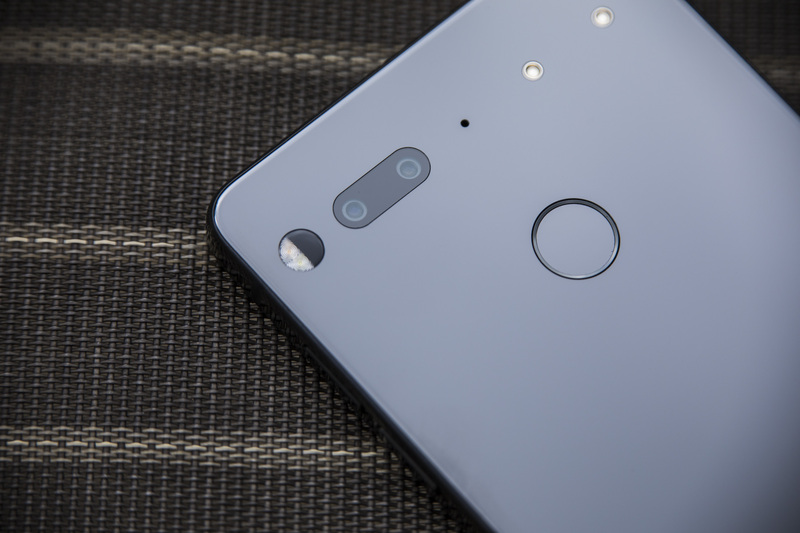 Xiaoyu Miao, who leads the Essential Phone’s camera development as the company’s head of optics and imaging, described the process of creating a dual-sensor system with both a full color and mono sensor, which uses sensor fusion (like that found in autonomous vehicle systems) to provide better image quality. Miao worked with an incredibly small team on an incredibly hard problem, and ended up having to do a lot of the hardware and software engineering in-house because what Essential wanted wasn’t available with off-the-shelf components. To say that what Miao and his single-digit camera tech team was able to accomplish in roughly a year is impressive is an understatement: Essential’s camera has been dinged by reviewers as feeling “unfinished,” but the mono sensor alone makes for some of the best black-and-while image results I’ve seen from a mobile device. And the ability the fused image has to reduce noise in low light is equally impressive. Essential is already iterating on its app and has a strong foundation in place from which to do so. Meanwhile, Miao’s team also created the 360 camera attachment, and the software that stitches its two 210-degree images together for a full surround image with real-time live preview capabilities. This, again, would be no small technical feat taken on its own, but Essential’s camera engineers built this concurrently with their work on the phone’s built-in camera. Miao also said he hopes to eventually be able to incorporate the 360 camera right into the phone itself, since the ultimate aim is to help Essential be a leader in the mass popularization of this emerging media category. Essential VP of Design Dave Evans worked with a similarly small team to iterate quickly and build out the physical look of the phone, starting with some ideas from Rubin that envisioned a “river stone” design that would slip nicely into the hand. The final rectangle is a far cry from a polished pebble, but when Evans talks through the iterations and changes, and the primacy of that edge-to-edge display as the driving force behind the process overall, you feel like you were in the design studio spending long nights working away at the problem right alongside him. Product Designer Paulina Mustafa conveys an equal sense of close proximity to the process when talking about the Essential Phone’s hardware engineering. She explained to me how the company settled on its choice of materials, going into minute detail about density, ductility, malleability and opacity, not with the familiarity of someone exhaustively briefed on the particulars, but with the ease of someone who did all the work firsthand. In a decade of tech reporting, I’ve never felt as engaged in the creation process of a product. Mustafa even proudly smashed her own personal Essential Phone repeatedly against the demo table’s hard metal edge – enjoying every strike and proudly displaying how the phone looked no worse for wear afterwards as a result (a close inspection really did reveal no visible damage). Mustafa, Evans and Miao all told me that getting the Essential Phone to market had been incredibly hard work, requiring a lot of commitment and late nights. When each told me this, it wasn’t through the veneer of a media-trained, marketing-approved response – it was with the contented relief of a person who’d managed a monumental task and was exhausted as a result, but already looking forward to the next immense effort to follow. Part of Essential’s goal is to shake up a market that has grown stale and boring because the leaders in the industry have little to worry about from upstarts and even well-funded challengers. The Essential Phone definitely manages to be interesting again purely from a hardware perspective, but that alone doesn’t answer the question of what’s so unique about their offering in a crowded space. Instead, Essential’s primary difference is about how it approaches the creation of technology as a company, from development, to sourcing and production, and even to marketing and media relations. It seems trite and twee to paint it as the difference between artisanal makers and mass-market producers (Essential is still hoping to make at least a million of these in its first year, after all), but there’s a dynamism and vitality, along with a sense of personal investment on the part of Essential’s employees, that also make it an apt comparison. Will it ultimately work? It’s far too early to tell, and the definition of “work” isn’t even necessarily clear, either. 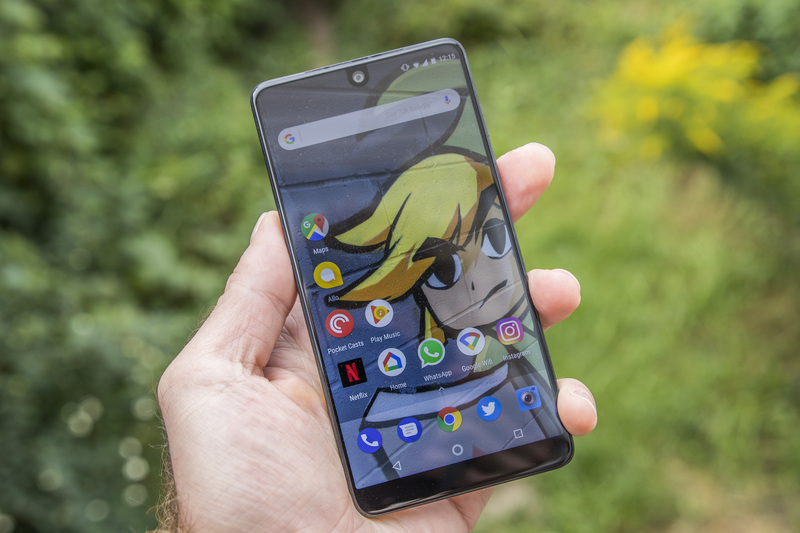 But Essential is at least doing what it aims to in terms of shaking up a stagnant market; whether that shake-up is just a tremor or something that ends up remapping the tech world remains to be seen.